Lately, the Public Broadcasting System from Buffalo has been advertising a New Year’s Resolutions weekend for people to come to. There, they’d be able to listen to some expert on life choices tell them how they can achieve whatever resolutions they might have for the upcoming year. … New Year’s Wishes and not New Year’s Resolutions. I’ve never understood the whole idea of New Year’s Resolutions. When I was a child and working at surviving my life in my family, if I could have wished for anything for the new year, it would have been to have a stress-free year: one where I felt safe, when I felt unconditionally loved, when I wasn’t afraid, when all my accomplishments were celebrated simply because I had tried my best no matter what the result was. There would have been nothing that I had to do except try my best at everything I did and just be me. So, I would have had New Year’s Wishes and not New Year’s Resolutions. New Year’s Resolutions have always struck me as a time not for introspection but for judging ourselves and finding ourselves deficient. “This year, I’ll work out everyday. I’ll put everything away immediately. I’ll do all my chores without trying to avoid them. I won’t lose my temper. I’ll lose 20 pounds. I’ll eat sensibly. I’ll practice piano for at least an hour everyday. I’ll get straight A’s on every report card. I won’t swear. I’ll be a better and kinder person.”… and on and on the list could go. They have nothing to do with us and everything to do with someone else. Whatever’s on the list, New Year’s Resolutions seem to be to be based on winning approval from someone else, on making their lives easier, on living up to whatever we believe their expectations are, on doing whatever we feel we need to do to be accepted and deemed acceptable. And, to me, these resolutions are based upon want not choose. We aren’t looking to create the world we will choose to live in. We sit and hope that everything will magically work out so that we’ll get the world we want. And, in the end, we create a world based upon avoiding things rather than actively accepting and pursuing opportunities to create that which will energize and light up our days. And, when we break one of our resolutions – we gorge on ice cream, or we swear up a storm, or we lose our tempers for whatever reason, we get the added bonus of being able to beat ourselves up for failing to live up to the resolution! So … New Year’s Resolutions are a double bind. If we manage to not break a resolution during the year, then we may feel that we’ve been successful. And what we’ve truly succeeded at is being hyper-vigilant of everything we do. We’ve been successful not at creating our world but in containing and managing ourselves and our world. We’ve spent the year looking over our shoulders, so to speak, rather than looking up and forward. Most people I know [myself included] pooh-pooh New Year’s Resolutions. We make fun of them, joke about them, tell each other that they’re really meaningless. We’re apologetic when we make list or tell others about our resolutions. “I don’t really believe in these”, we seem to be saying. Yet words have power and vibrational force. Even if, out loud, we say we aren’t serious when we generate these lists, inside ourselves, the energy of these words plays out. And so, consciously or unconsciously, we carry the energy and impact of the New Year’s Resolutions we’ve created with us throughout the year. In the end, New Year’s Resolutions tie us down. They hold us back. They don’t set us free to explore ourSelves and to celebrate who we innately are. So, consider jettisoning the whole concept of New Year’s Resolutions entirely. Rather than promising what you, in essence, won’t do over the course of the year, really think about what it is that you want in your life. And once you’ve done that, choose to get deliberate in your thoughts and set your intentions for yourself. Then get inspired to make new and different choices which map to what you are choosing for yourSelf. 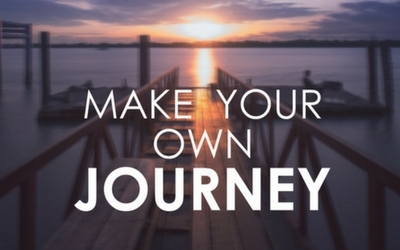 And then get going and take action to realize what you’ve chosen and to create the world in which you choose to live. Change your thoughts from “Next year, I promise to….” to “This year, I’m choosing to…” and fill in the blanks appropriately for yourSelf.